With oil-prone skin, I’ve always been like a vampire to sunlight when it comes to body oils, cowering in their ever-expanding wake. 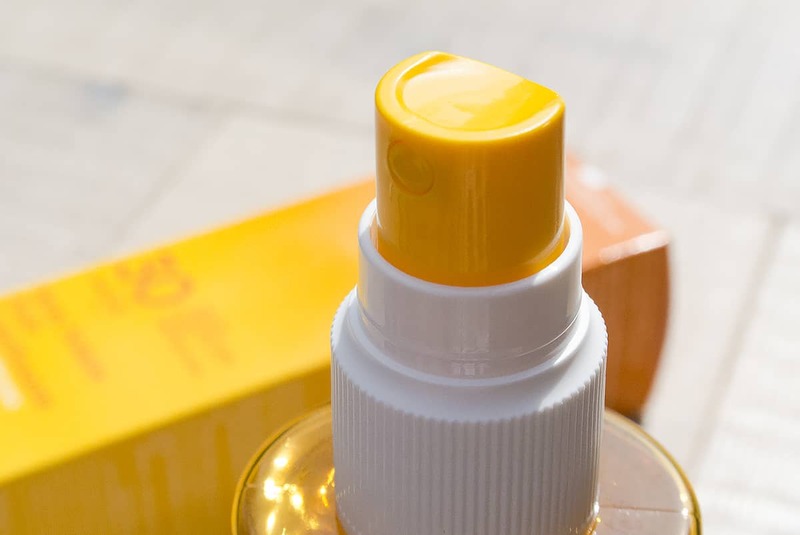 Clarins Sun Care Radiant Oil Spray High Protection with SPF30 (UVA/UVB) has definitely altered my attitude and approach with it’s light dewy finish, and non-greasy texture – it also won’t stain clothes. I’ve been wearing this all day today, applying every couple of hours or so. 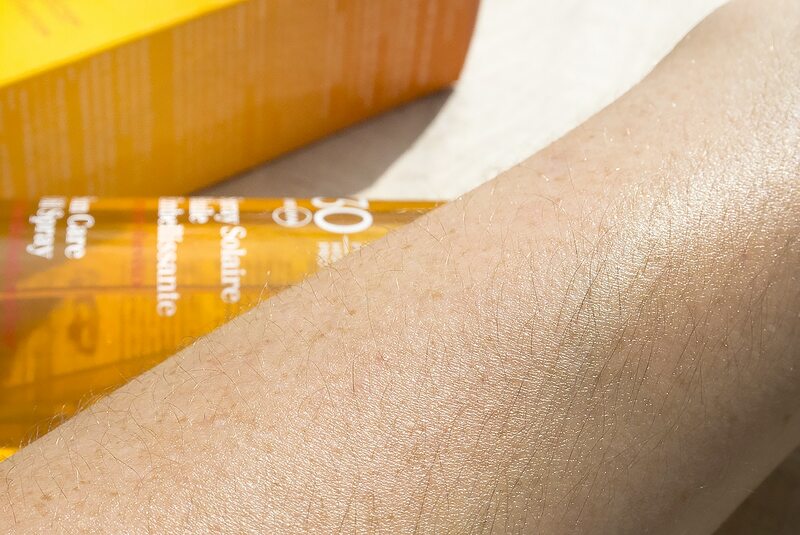 Note that an SPF30 will give you 7.5 hours protection max, even if you reapply afterwards. Its scent is incredible, unobtrusively fruity-floral (you won’t smell like a perfumed tart I assure you). There’s a fabulous blend of Aloe Vera, Senna and Tamanu oils as well as Nyamplung oil; an oil from the nut of a sacred Indonesian tree famed for how it “nourishes and beautifies” the skin and hair. Clarins Sun Care Radiant Oil Spray doesn’t leave skin congested either, quite the opposite. In the evening I felt my skin was much softer and the texture was far smoother than it was in the morning. 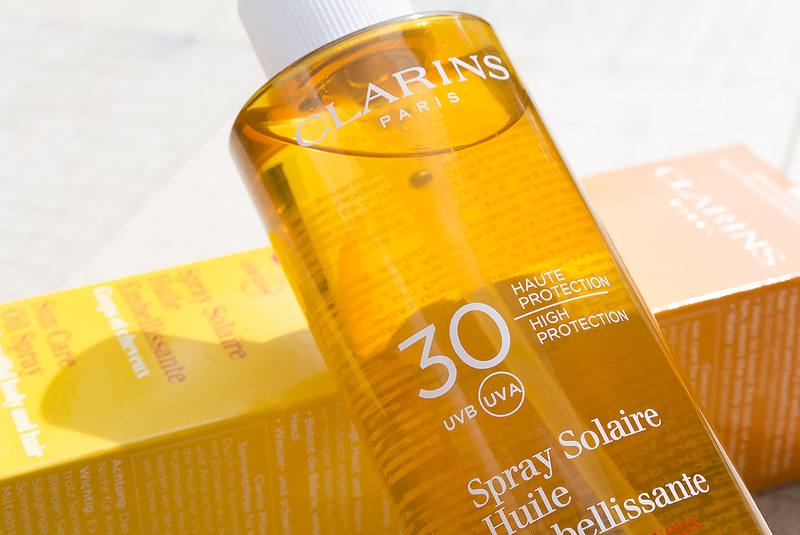 If you fancy trying something new and an absolutely fantastic approach to sun care, you can pick up Clarins Sun Care Radiant Oil Spray High Protection UVB/UVA SPF30 here, direct from Clarins for just £19 or here from Boots. This article first appeared on MANFACE written by Thom Watson. It was published on Sunday 27th July 2014 and was last updated on Monday 3rd April 2017 at 1:58pm. It's categorised under Clarins, Sun Protect where you'll find more related content. Absolutely in love with this one. I’ve used it since the Spring and so agree with you on the scent and general benefits after applying. Clarins makes sickening self tan and sun care items IMO. Loved your post! So pleased you’re also a fan! I’m such a bad tanner, I either burn instantly or… nothing happens. Not only did this prevent me from burning but it’s been conducive to a really natural, light tan and I love that sheen it gives rather than the normal greasy shine or a standard cream.